Powered by the Iridium OpenPort Service, Iridium Pilot Broadband Platform Offers Reliable, High-Quality Communications Via the World’s Furthest-Reaching Network. 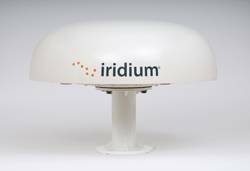 Iridium Communications Inc. has announced the launch of its second-generation maritime broadband platform, Iridium Pilot. 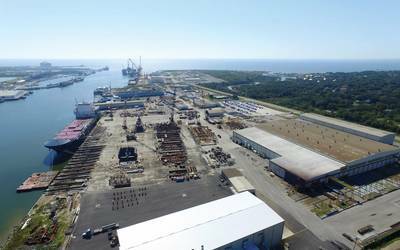 Iridium Pilot will utilize the Iridium OpenPort service -- the world’s first when it comes to fully global maritime broadband. Iridium Pilot is engineered for enhanced durability to withstand the harshest maritime conditions, all the while packaged in a small, lightweight antenna. It has a fixed, electronically-steerable, phased-array antenna, designed to maintain connectivity in rough seas. Iridium Pilot offers broadband connectivity in addition to three independent phone lines, all of which work simultaneously, with data speeds up to 134 kbps. The platform offers a suite of new capabilities for vessel telecommunications optimization. These capabilities include a built-in firewall for traffic management and a bulk configuration capability to assist in efficiently managing large volumes of units. Its small form factor, enhanced capabilities and flexible service packages make Iridium Pilot an optimal solution for vessels large and small. In addition, Iridium Pilot maintains the best service program in the industry, the Iridium Global Service Program, and the industry’s only standard five-year limited warranty. Iridium Pilot is the latest example of Iridium’s long-term commitment to investment and innovation focused on satisfying communications needs around the globe. The company’s goal is to continually improve the customer experience in new and existing markets in the farthest reaches of the world now and into the future.